Traveling abroad is an enriching endeavor. However, purchasing travel insurance is becoming more important. A small, but growing list of countries are making travel insurance a mandatory requirement for getting both short and long-term entry visas. The most recent on the list is Ecuador, which moved to add proof of travel insurance to visa requirements on May 1st of this year. Experts predict this trend will continue as more countries seek to ease the burden of the unpaid medical bills left by tourists. This is caused by travelers who either take advantage of free healthcare in a country where they do not pay taxes or who simply leave without paying the bill! Travel insurance is essential for any trip abroad, but these destinations should be given special attention as you search for a suitable policy to meet their requirements. Travelers to Antarctica are required to purchase travel health insurance with coverage with provisions for medical emergencies, emergency evacuation, and repatriation of remains. If you plan to do any adventure sports while in Australia, don’t forget to request a policy that covers incidents related to those sports. A trip to this island between Saudi Arabia and Qatar will require health insurance for foreigners and expatriates. Travelers who arrive to Cuba without coverage are required to buy their insurance from a local Cuban provider, which typically results in a much more expensive premium. Make sure to buy necessary coverage in advance! As of May 1st this year, Ecuadorian Ministry of Tourism has announced that all foreigners will be required to provide proof of insurance while visiting or living in Ecuador. Health insurance is necessary when traveling to Oman. Explore the deserts and coastlines of Oman with confidence in a travel insurance policy that’s right for you. 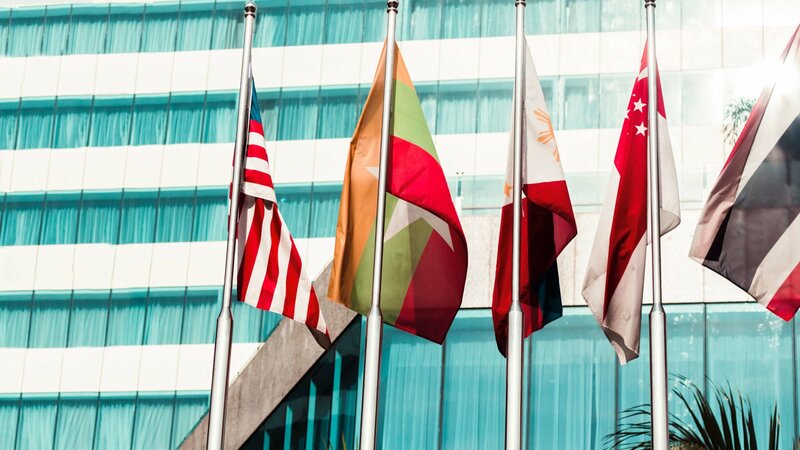 Because the Philippines is requiring travel insurance for foreign visitors, make sure you get a policy before you head out on your trip. Qatar began requiring travel insurance for those living abroad in 2015 to cover the rising cost of foreigners relying on state healthcare. Applying for a tourist visa for Russia is a difficult and lengthy process on its own. It is nearly impossible to obtain a visa without demonstrating proof of a travel healthcare policy. Saudi Arabia has required proof of travel insurance for all visa applicant since December 2015. As of January 2016 all applicants for visas to Turkey are required to have a medical insurance that will be valid during their stay in Turkey. Anyone traveling to the United Arab Emirates on a visa is required to show proof of insurance upon arrival. Despite new requirements of travel insurance for these countries, traveling to those that don’t is still a large risk and can be potentially costly. Listed below are some countries are considering new legislation that requires proof of travel insurance. We wouldn’t recommend traveling without a policy if one of these destinations is on your list of trips! Regardless of whether or not travel insurance is required, we recommend you don’t even consider leaving home without it! 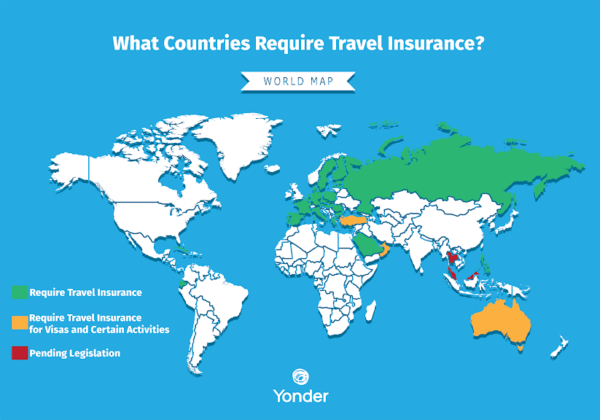 At Yonder, we help you make the best travel policy decision that fits your travel style. Get an instant quote today. For more details and current information of visa requirements, visit cibtvisas.com For more information on health, vaccination and other travel advisories visit the CDC Travel page.